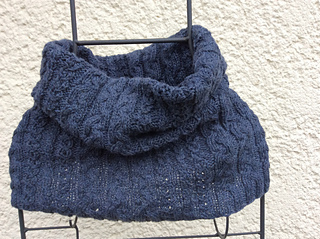 This design is a collaboration with SnailYarn. Valentina of SnailYarn and I met in Germany at Wollfest Hamburg 2016, while chatting and laughing we spontaneously got the idea to collaborate. This is the result. Ciao! 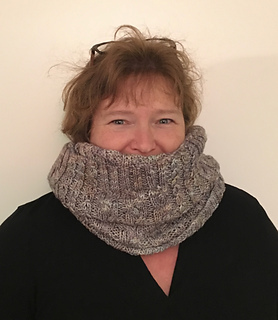 is a cozy cowl, seamlessly worked in the round with columns of cables and eyelets. 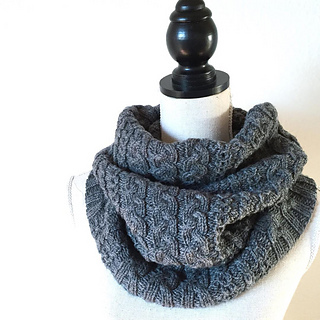 The pattern includes full written instructions, charts and a photo tutorial. 2 skeins of SnailYarn merino DK (100% extrafine Merino SW, 115 gr-230m/251yds), color Cloud. US 7 (4.5 mm) 24” (60 cm) circular needle or size to obtain gauge. Stitch marker, cable needle, tapestry needle. 23 sts x 34 rnds = 4” (10 cm) in cable pattern, blocked. 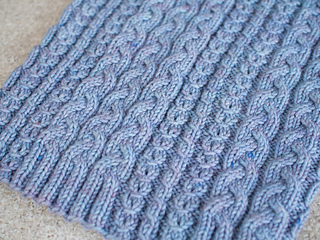 One cable pattern repeat, blocked = 6.3” x 1” (16 x 2.5 cm). Gauge is not crucial but will effect final size and yardage. Approx 25.6” (65 cm) circumference, x 18“ (45 cm) height. Special thanks to Valentina and my fantastic testers. Without you this pattern would not exist. Hugs to all of you!